Learn more about some of the organizations with which we partner. The Holistic Life Foundation is a Baltimore-based nonprofit organization committed to nurturing the wellness of children and adults in underserved communities. Through a comprehensive approach which helps children develop their inner lives through yoga, mindfulness, and self-care HLF demonstrates deep commitment to learning, community, and stewardship of the environment. HLF is also committed to developing high-quality evidence based programs and curriculum to improve community well-being. 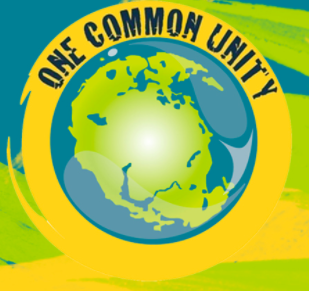 One Common Unity breaks cycles of violence and builds compassionate, healthy communities through the transformative power of music, arts, and peace education. Through arts-based peace education in schools, summer youth initiatives and through festivals and concerts, OCU has assisted young people in telling their stories and sharing them with others. OCU teaches people how to create media, arts, and music that reflect the stories of those working diligently to create communities which honor and respect one another and understand our inherent equality and interdependence. Heartbeat is working to transform conflict through music in the Middle East. Its program focuses on bringing Israeli and Palestinian youth together around a shared passion for music- and working directly to promote consciousness and understanding between the two sides. The fruits of this collaboration are shared through a touring band and music put out by the organization to encourage peace. Heartbeat works implicitly on altering mindsets on both the beneficiary and system level. The Integrative Medicine Foundation (IMF) promotes the practice of integrative medicine through: education (public, healthcare professionals, and corporate), research, and direct outreach services for those who cannot afford integrative medicine. Homefull Solutions, Homefull’s employment centered social enterprise is designed to engage beneficiaries based on their specific needs and barriers to employment. Thus working to provide people with the foundation of personal development and material conditions for substantive choice around employment and their ability to contribute to society.